Working with an overlocker means saving time and stitching fast. 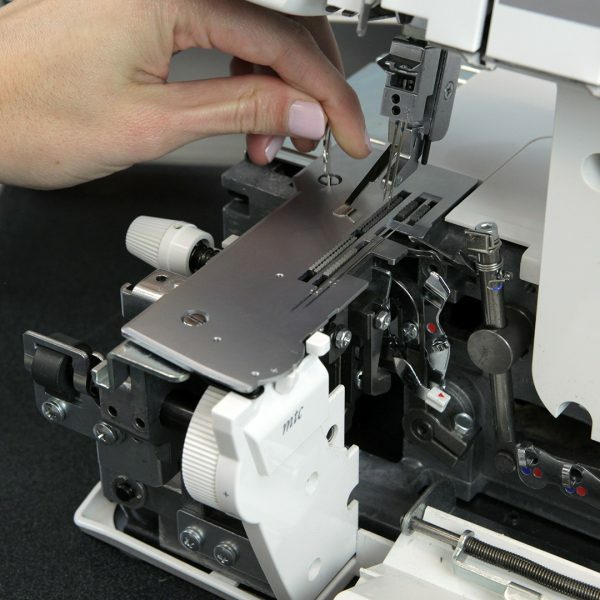 An overlock machine sews, cuts and finishes seams in one operation for efficiency and with precision, and is the perfect companion to a sewing machine. 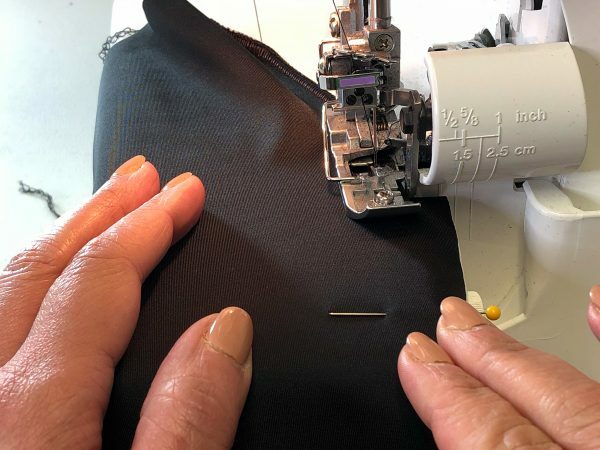 We’ve gathered together our best overlocker tips and techniques to help you build your overlocking skills, from threading your machine to sewing knit garments. 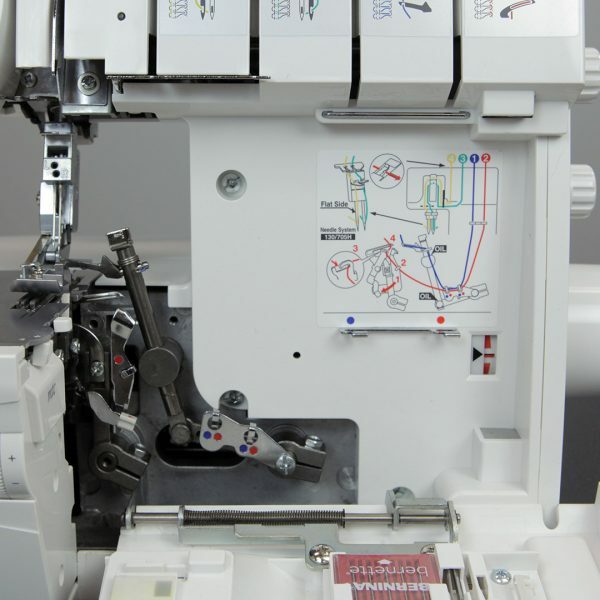 Are you thinking about bringing home your first overlocker or shopping for a new one? 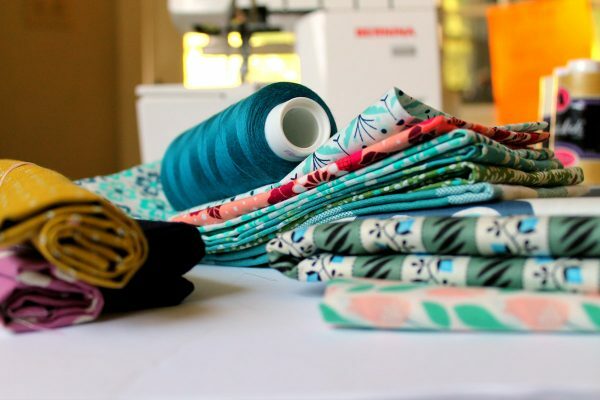 Check out this post for tips on how to shop for an overlocker and what to ask here at WeAllSew. Don’t dread how to thread your machine! 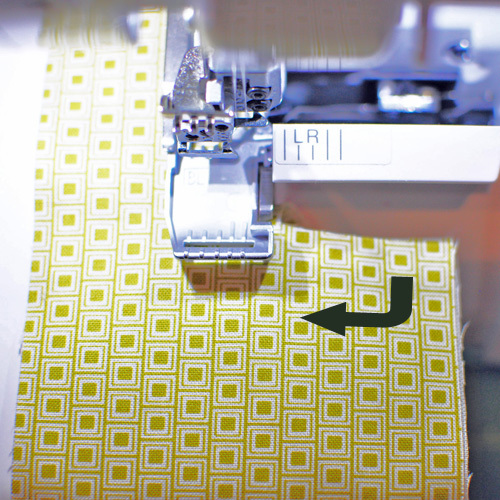 Check out this step-by-step post on How to Thread an Overlocker to see how it’s done. Showing your machines a little TLC is key to maintaining a trouble-free relationship. 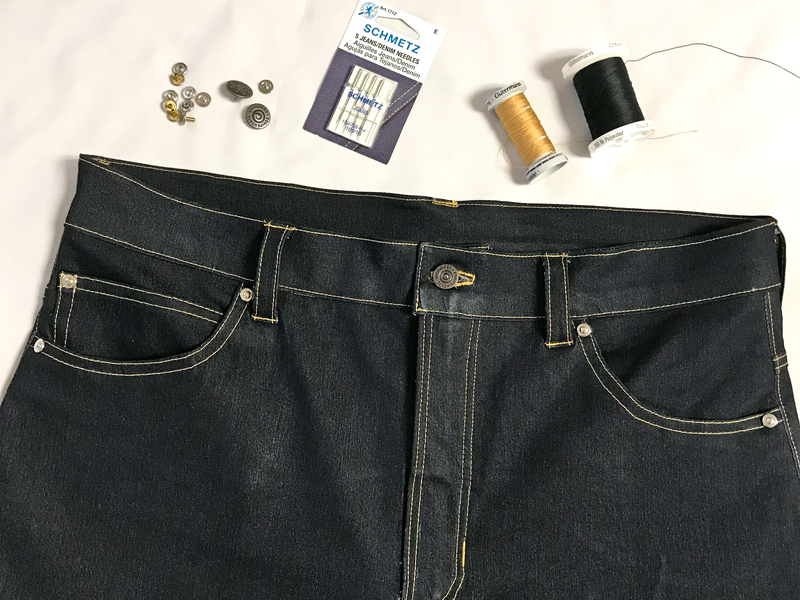 Find our top tips for Overlocker Care and Cleaning here at WeAllSew. Have you ever needed to turn a corner with your overlocker? 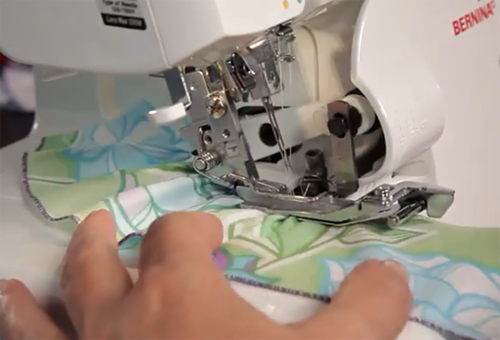 Learn the fine points of pivoting around an inside corner with your overlocker in this tip post. Did you know that you can ruffle fabric with your overlocker? Check it out in our tutorial How to Sew Ruffles on an Overlocker! Have you ever noticed the finishing stitching on active wear? By simply adjusting the tension settings on your overlocker you can create a flatlock stitch with the same look! Find out how with the Active Wear Sewn with a Flatlock Stitch tutorial. Learn how to create professional looking stitching on denim jeans with your overlocker in the Jeans Sewn with a 3-Thread Overlock tutorial. Get a smooth finish when sewing elastic to delicate fabrics with these tips for Sewing Lingerie Elastic with a Coverstitch here on WeAllSew. 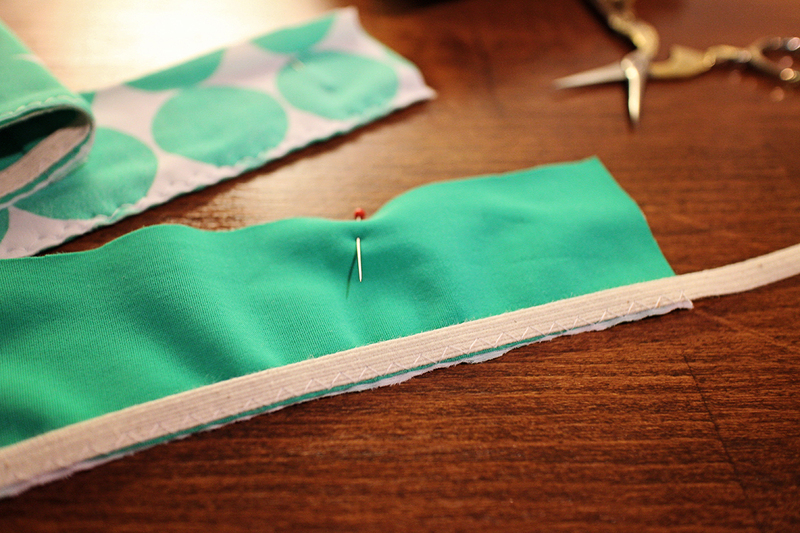 This tip shows you how to hide elastic in a swimwear application for a completely clean finish using an overlocker. Find the instructions for How to Sew Swimwear Elastic with an Overlocker here. 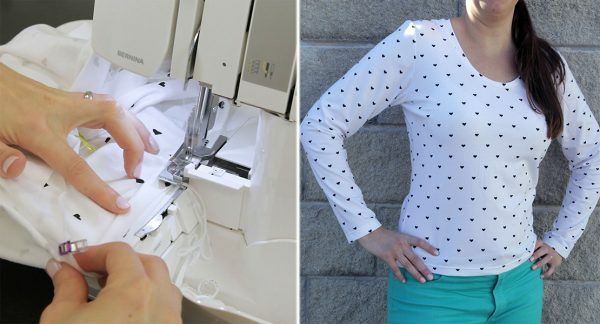 If you’re tackling a t-shirt for the first time, check out this tutorial that includes lots of helpful tips to creating a Custom T-Shirt with an Overlocker. Stitch up a pair of leggings lickety-split with your overlocker! See how easy it can be to create quick leggings with your overlocker in our Hello Leggings! post. 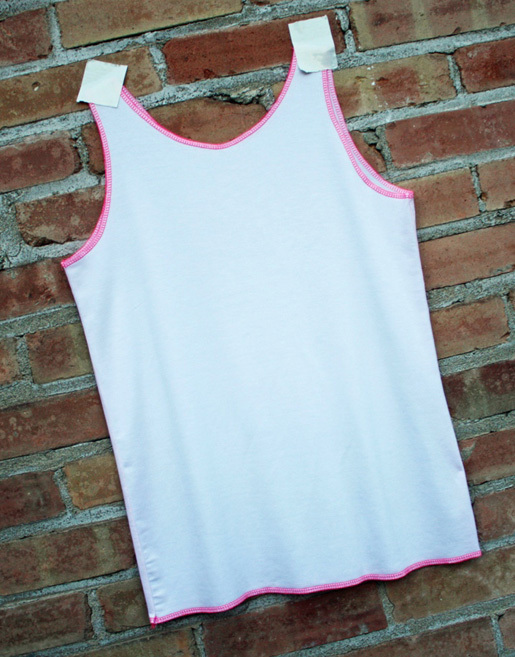 Speaking of quick-to-sew garments, you’ll be amazed at how fast you can create this simple, free to download Tank Top pattern with an overlocker! 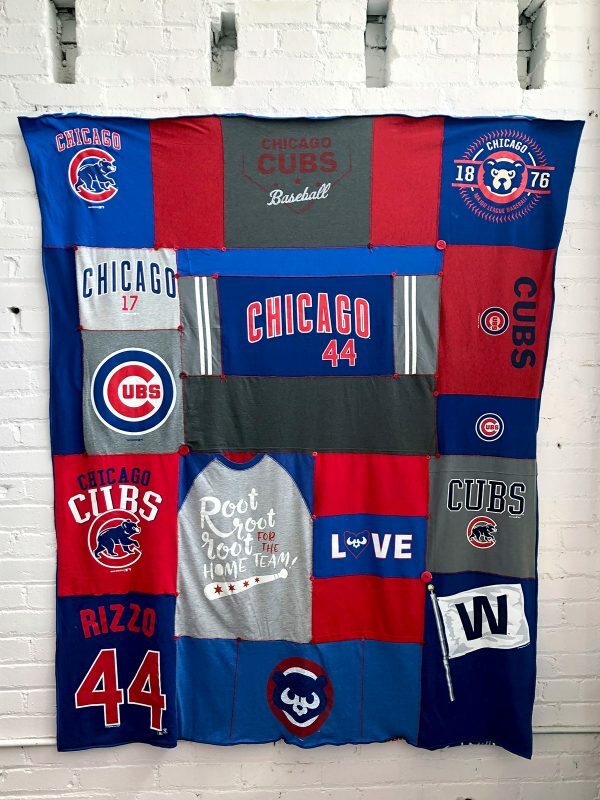 Create a fun throw blanket from those themed t-shirt’s you’ve been collecting using your overlocker! 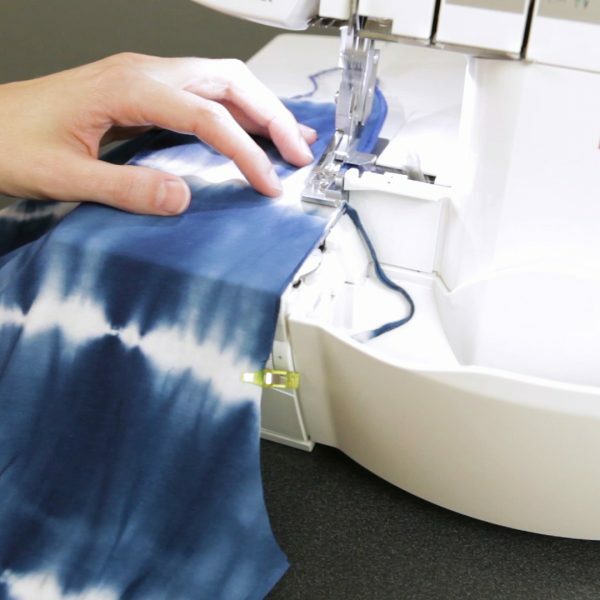 Follow along with the T-Shirt Quilt tutorial to learn how it’s made. 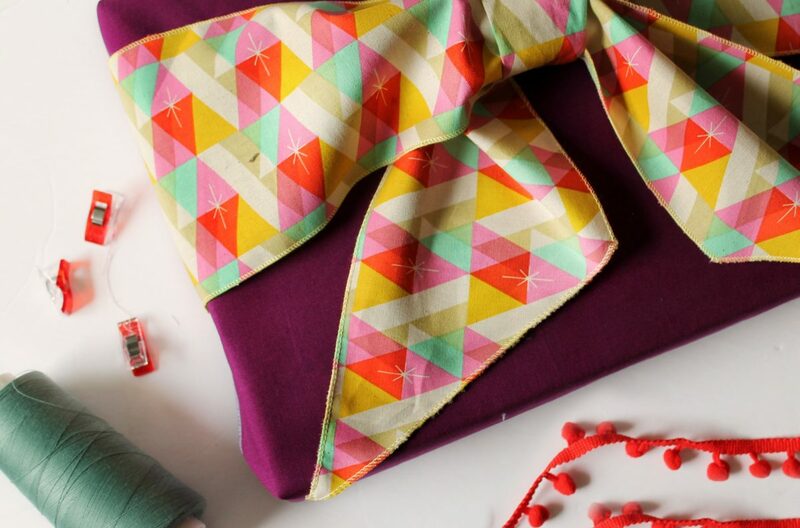 And last but certainly not least, use your overlocker to create an eco-friendly, reusable gift wrap topped off with a bow! Use plain fabric in favorite colors, or coordinate your fabric choice to specific holiday themes. Find the Big Bow Reusable Gift Wrap tutorial here.